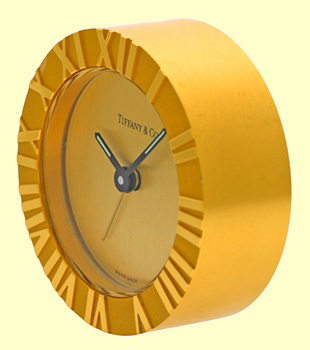 Brass Tiffany & Co. Atlas Alarm Clock. 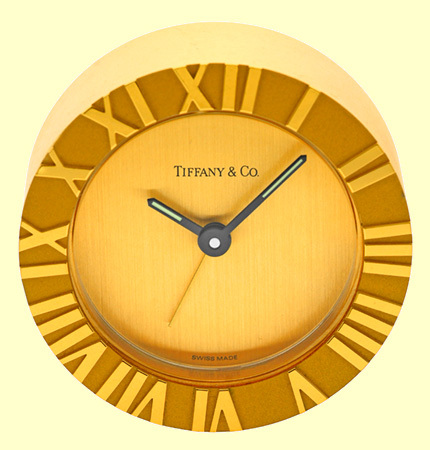 Champagne Dial with Tiffany & Co. 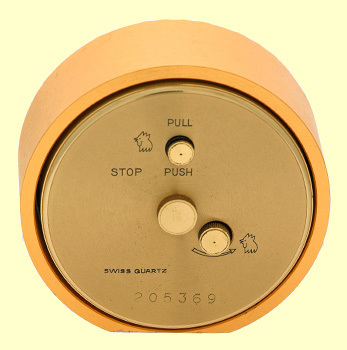 Signed Dial, Black Luminescent Hands, Yellow Gold Center Alarm Hand. 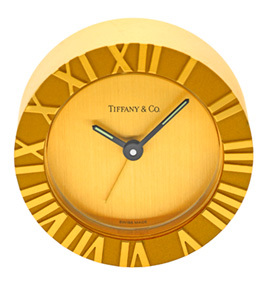 Roman Numerals to the Outer Rim of the Clock, Sapphire Crystal. The Round Clock Has a Flat Bottom to Stand Upright. 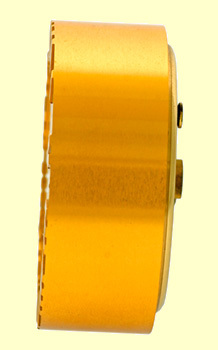 Like New Condition and complete with Capetown's One(1) Year Watch Warranty!! Remember, If we're shipping anywhere outside the state of Georgia, you stand to save even more! At this time, as long as we ship out of state, we do not have to collect Georgia sales tax. Legitimate Tax Savings of up to 10%!